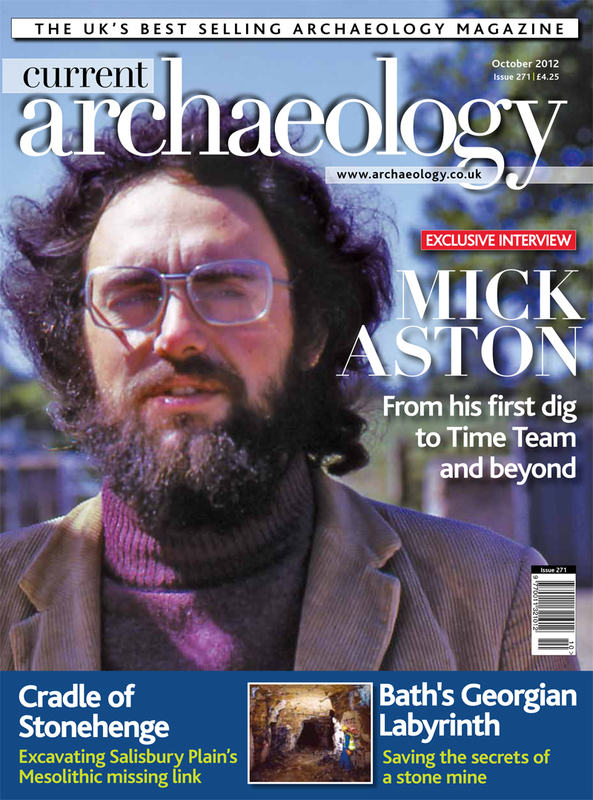 Mick Aston is one of our most highly respected and celebrated archaeologists. Over the last 6 months he has left Time Team and received a lifetime achievement award at the British Archaeological Awards. Now he shares the highs and lows of his archaeological journey. From Mick’s earliest site visits (while bunking off school), to his current project (exploring the back gardens of Winscombe), via the Time Team work that made him a household name, this is his story, in his words. For almost 300 years an unsung archaeological gem lay just south of central Bath. Here a warren of mine workings had been cut through the living rock to win the stone that built the Georgian spa town. Covering 18 hectares this unique monument was an archaeological time capsule. But it was also deteriorating. Following dire predictions that within a decade the houses above would collapse, a team was sent to learn what they could before the mine was sealed forever. We tell the story of the largest underground archaeological recording project ever attempted in the UK. Next we visit Vespasian’s Camp, a recently discovered Mesolithic site just over a mile fromStonehenge. Excavations here have revealed the first major concentration of Mesolithic material from Salisbury Plain. With tools hinting that groups were travelling long distances to assemble here, was this Mesolithic ‘missing link’ the cradle of Stonehenge? We end with England’s first capital: Winchester. Recent excavations have allowed archaeologists to write the 2,600 year biography of a plot in the city’s urban core. From the earliest Iron Age colonists to Second World War bomb shelters, this dig has laid bare how a city’s fortunes waxed and waned over millennia. CA talks teaching, test pits and Time Team with a household name of the heritage world. Going underground: navigating the labyrinthine quarries that built Bath. Does the discovery of thousands of Mesolithic flint tools on Salisbury Plain provide the key to the later location of Stonehenge? Oram’s Arbour, Alfred the Great, and air raid shelters: exploring the 2,600-year evolution of England’s first capital. Harnessing expertise; The tines they are a-changing; Cherrymount crannog: crisis averted; Spicing up Silchester; Altaring perceptions of Maryport; Named and shamed: Kent’s unusual suspects; Vindolanda’s generation game. Andrew Selkirk asks whether the days of excavation without a grant are behind us, and casts an eye over official guidance.